> TFL best and fairest (William Leitch Medal), 1974. Tony Browning enjoyed a long and decorated playing career with New Norfolk District Football Club during their ‘golden era’ in the southern-based Tasmanian Football League (TFL). Browning was a quiet achiever from a legendary New Norfolk football family. 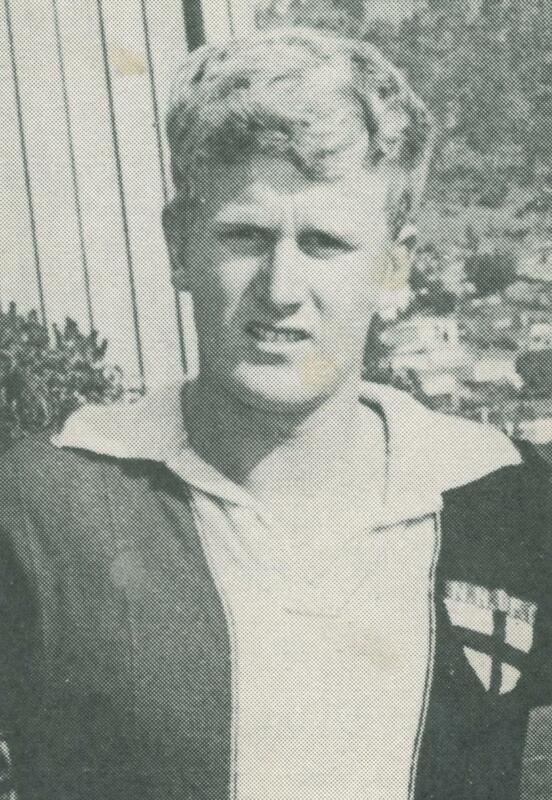 Following the path forged by older brother and dual TFL best and fairest winner Roger Browning, Tony Browning debuted as a 17-year-old in 1967 and was a creative midfielder who was unscrupulously fair and recognised throughout his career by the men in white and his own club for the quality of his game. Browning played an important role in New Norfolk’s golden era in the TFL. In addition to being a young member of the club’s inaugural TFL and state premierships in 1968 he also helped the Eagles to further finals campaigns in 1969 (third), 1970 (second), 1971 (third) and 1972 (second). In the 1970 first semi final Browning helped the Eagles destroy reigning premier North Hobart’s aspirations by kicking ten goals as they cruised to a decisive 80-point victory in front of more than 11,000 fans. As well as winning the TFL underage best and fairest awards at a young age, Tony Browning was able to take out a William Leitch Medal for TFL senior best and fairest in 1974. Browning had been considered unlucky on a number of occasions including being runner-up for the 1973 Leitch Medal. However, in 1974 he was able to hold out Sandy Bay’s Graeme Mackey for a deserving victory. It was said in 1974 he won the Leitch Medal because he had only given away seven free kicks for the whole season and all of these were for ‘holding the ball’. Considered by all observers as a very fair and honest player, Browning was also a high quality ruck-rover who could find the loose ball, space and the goals. New Norfolk’s legendary President, Les Hepper, said Tony Browning’s Leitch Medal victory was the highlight of his final year at the helm of New Norfolk as Browning was a great representative of the club and the game. With Hepper finishing his term as President and the Leitch Medal finally awarded Tony Browning it was in many ways the end of a great era for the New Norfolk District Football Club.